The process begins with a meeting between you and a DBH Builders representative where you will discuss ideas for your project. A work proposal is then delivered to you containing an actual price for what the job will cost, not an estimate. The schedule for the project will be reviewed with you, including order dates for material and a completion date. Once the job begins you are invited to be involved in the project as much as you would like. This is your project, therefore changes can be made during the process as the pieces come together and your ideas evolve. During construction you will be introduced to the individuals working in your home, and a daily quality check from a DBH representative will be conducted as well. Our goal is to deliver a quality remodel, and make your project enjoyable and painless for you. 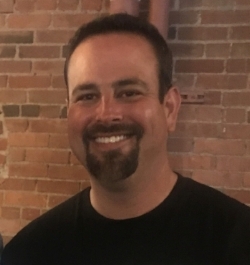 DBH Builders was founded by Dan Herzog. Dan was born and raised in Cleveland, OH. At the age of fifteen he joined a construction company as a carpenter’s apprentice. He worked during vacations and breaks on room additions, decks, and interior remodeling. Dan attended The Ohio State University and graduated with a bachelor’s degree in Construction Systems Management, with a minor in business. After graduation he worked for a large production home builder. Here he managed the construction of new homes throughout northeast Ohio. After four years of building new homes, Dan left and founded DBH Builders.